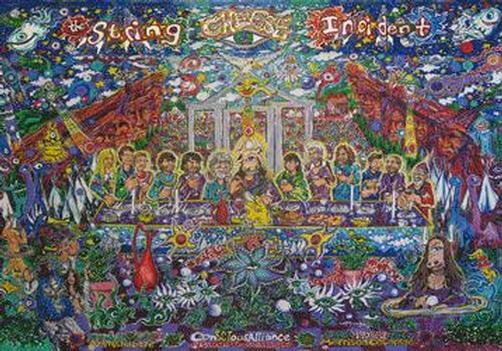 Original concert poster for String Cheese Incident at Red Rocks in Morrison, Colorado for SCI's "final run" in 2007 Titled The Last Supper. 12.25 x 17.5 inches. This is a 3D/animated lenticular by Scramble Campbell.